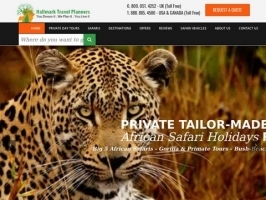 African Travel Hub, operated by Hallmark Travel Planners, offers Deals on African Safaris and Trips. Holiday and Vacations. Big 5 Safaris and Gorilla Tours. Reviews From Real Travelers. You Dream It. We Plan It. You Live It.